Good morning. It's Monday, Oct. 8. • SpaceX puts on a light show over the California coast. • Google workers quit the company over ethical objections. 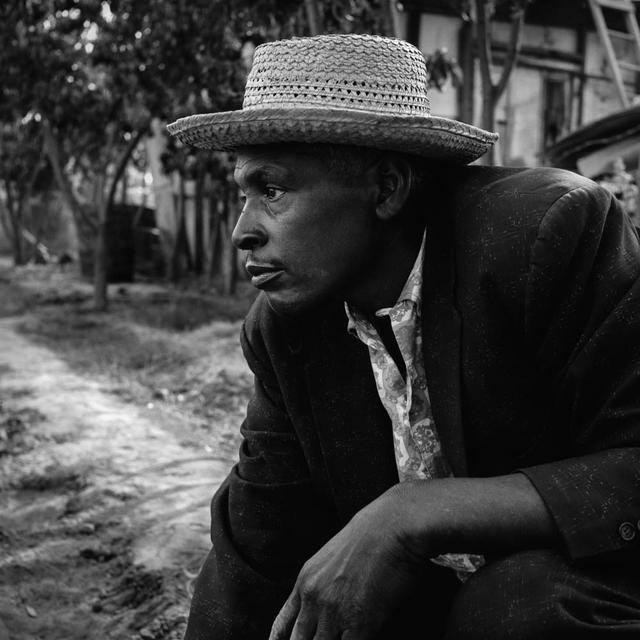 • And an exhibit on black farmworkers of the Central Valley. 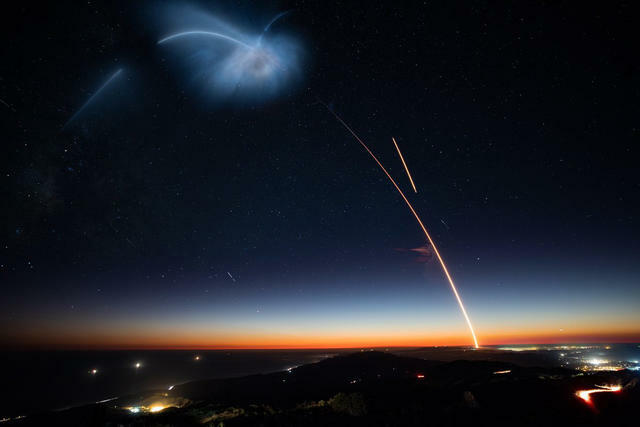 The rocket launch from Vandenberg Air Force Base lit up the night sky on Sunday. A SpaceX Falcon 9 rocket took off from California's Central Coast and carried a satellite into space Sunday night. And for the first time on California soil, a first-stage booster glided down and stuck its landing back at the launch site. The retrieval of boosters is seen as key to cutting the costs of space flight. The strange light display was seen up and down the coast and set off a wave of social media posts, some expressing alarm. "Nope," L.A.'s mayor tweeted, "definitely not aliens." Read more at the L.A. Times and A.P., and watch the launch at YouTube (the booster landing is at about 24:45). Lt. Gov. Gavin Newsom, left, and John Cox. Gavin Newsom and the John Cox will face off today in their lone gubernatorial debate. It's non-televised, starting at 10 a.m. and airing on radio stations across the state. (Here's a breakdown of the candidates' stances by the A.P.). A political scientist suggested that the power of political debates had waned as voters' views have hardened. "I think there’s a growing cynicism about the utility of debates," she said. California's next governor will confront a demographic shift of epic proportions as the population of seniors grows faster than any other group. That means, among other challenges, higher health care costs, surging numbers of elderly homeless, and ballooning demand for safety-net programs. "We are exquisitely unprepared," an advocate for the aging said. 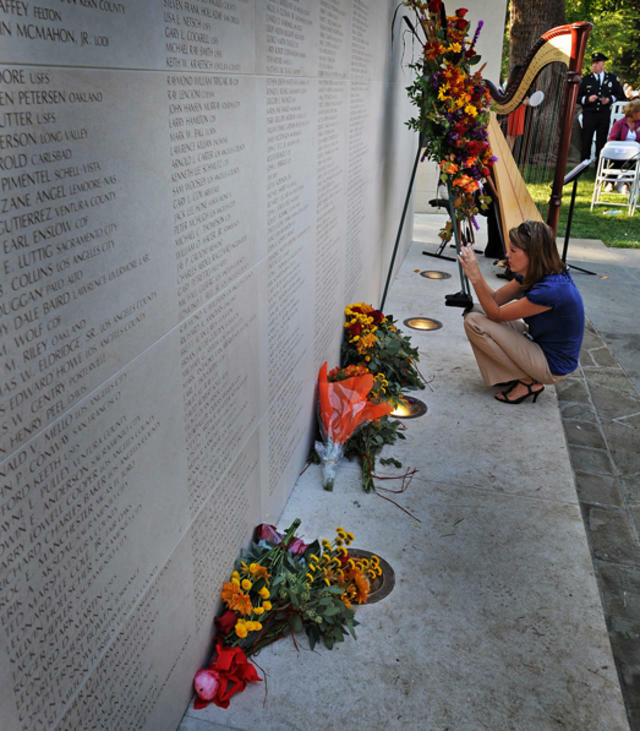 The California Firefighters Memorial in Sacramento honors California firefighters who died in line of duty. Three California prison firefighters have been killed on the job in the last 17 months. But the California Firefighters Memorial — which honors fallen firefighters — has no plans to honor them. A spokesman said that while the work of inmates was valued, it was undertaken "as part of paying their debt for the commission of a crime." Thomas Spencer inspected his garden in Tulare County in 1964. While covering the lives of farmworkers in the 1960s San Joaquin Valley, photographer Ernest Lowe discovered a number of African-American settlements. They were part of the rural-to-rural migration out of the Jim Crow South. Lowe's images, now on display at the Fresno Art Museum, open a window into a little-known part of the region's history. 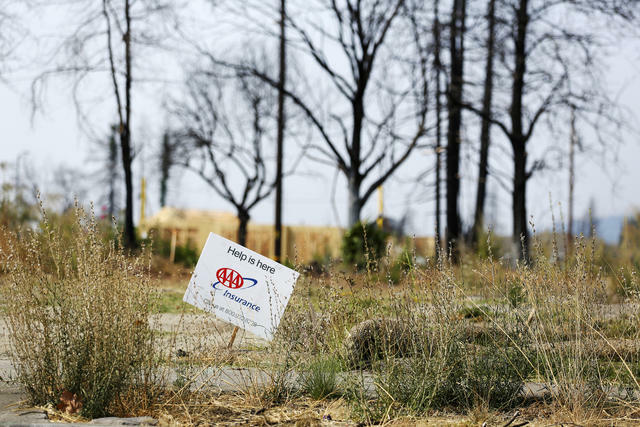 A lonely insurance sign in Santa Rosa, where only a fraction of nearly 2,700 homes lost have been rebuilt. "It’s almost impossible to get convicted in this city," a narcotics officer said. Known drug dealers prowl parts of San Francisco seemingly without a care in the world. A columnist said that's because San Francisco doesn't seem to know how to impose consequences for bad behavior: "Unless, of course, you’ve parked your car at a meter for five minutes too long." 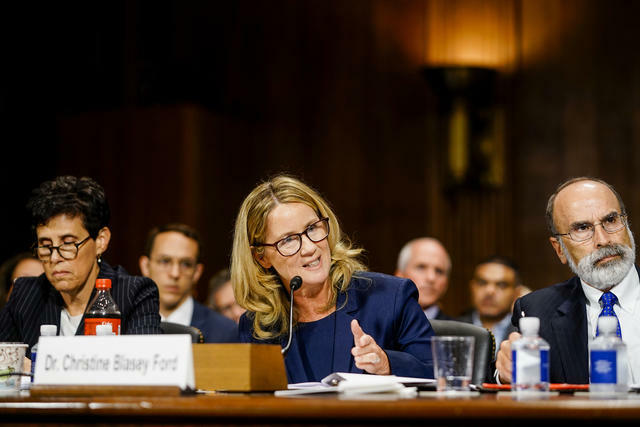 Christine Blasey Ford, a Bay Area college professor, has told her lawyers she's ready to move on with her life. Christine Blasey Ford’s lawyers told CNN she has no regrets, despite the death threats and ridicule she faced after accusing Supreme Court nominee Brett Kavanaugh of sexual assault. She also said she has no interest in seeing Kavanaugh impeached. Where does she go from here? "Nothing’s going to be the same," a friend said. He added, "All the fears she had are coming true." Last month, a Google research scientist quit when he found out that his work would contribute to censorship and surveillance in China. He's not the only one. Tech workers across Silicon Valley are increasingly questioning the ethics of their employers. "You can think you’re building technology for one purpose, and then you find out it’s really twisted," said another Googler who quit. Preston Castle is located in the Sierra Foothills. 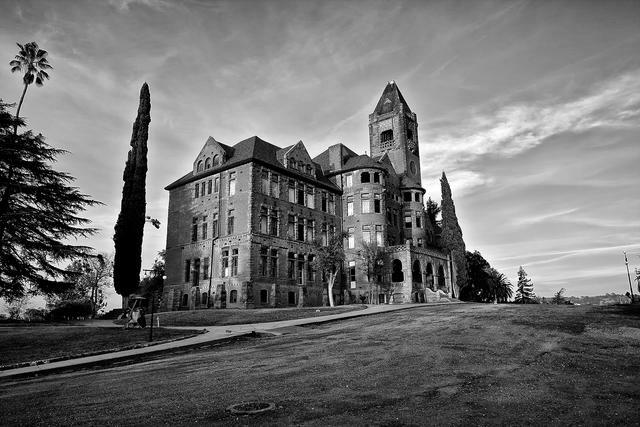 Some people claim that Preston Castle, about 30 miles southeast of Sacramento, is haunted. One of America's oldest reform schools, it was home to wayward children such as Merle Haggard — labeled "incorrigible" — from 1894 to its closing in 1960. One year, a housekeeper was bludgeoned to death in the kitchen pantry. Now, the Romanesque building's warren of dark rooms and hallways is a favorite of ghost hunters. This month, visitors can take a Halloween tours. 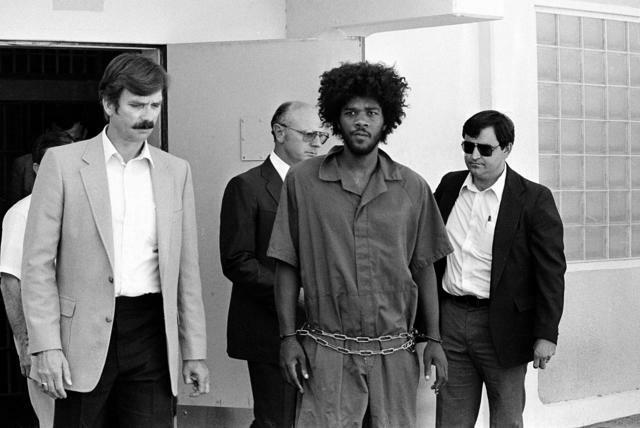 Kevin Cooper after his arrest in the killings of four people in San Bernardino County in 1983. "Why, Governor Brown, why?" N.Y. Times columnist Nicholas Kristof renewed his appeal to Gov. Jerry Brown to allow advanced DNA testing that could exonerate death row inmate Kevin Cooper, a man whom Kristof believes was framed. "Now we have a confession from another person to the murder, and that other person also welcomes DNA testing," Kristof wrote. 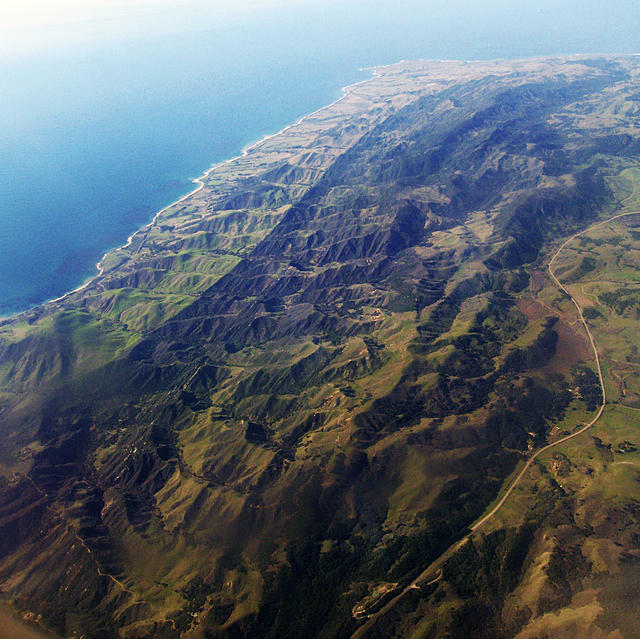 Property owners have managed for 36 years to keep a stretch of coveted coastline near Santa Barbara largely to themselves, even as others along the coast have been forced to play by rules requiring public beach access. How so? "You’ve had a handful of extremely wealthy, powerful people who have doggedly fought and delayed access at every turn," an official said. The homeless count across Los Angeles County stands at more than 53,000. How pervasive is the homeless crisis in the Los Angeles region? 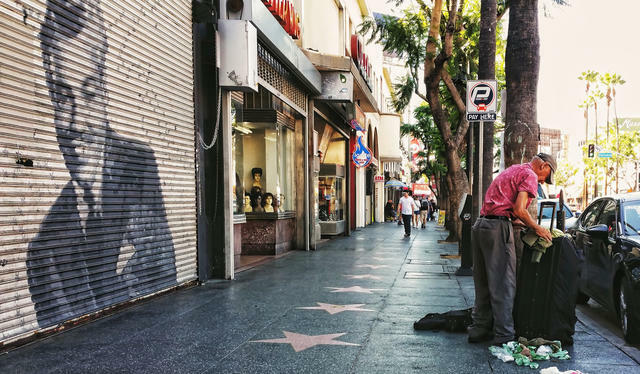 A photographer visited landmarks and found homeless people at nearly every one. "We are driving past homeless people and we’re not seeing them," a council member said. "When that happens, that is the end of our humanity." A rendering of the planned monument by the artist Jim Bliesner. 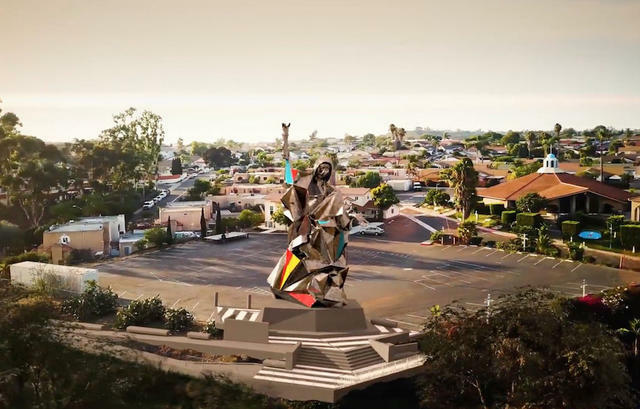 A San Diego church is raising money to erect a 40-foot-tall monument of Mary, mother of Jesus, atop a hill overlooking the U.S.-Mexico border. Inspired by the Statue of Liberty, the statue named "Welcome the Stranger" will stand as a symbol intended to welcome immigrants and refugees entering America. An undated image of Charles Boles. It was signed, "Black Bart, the Po8." His real name was Charles Earl Boles, and he was one of California's most infamous outlaws during the 1870s and '80s. In between heists, Boles lived a double life among San Francisco's high society. He commonly wore a tweed suit, bowler hat, and diamond pinky ring. 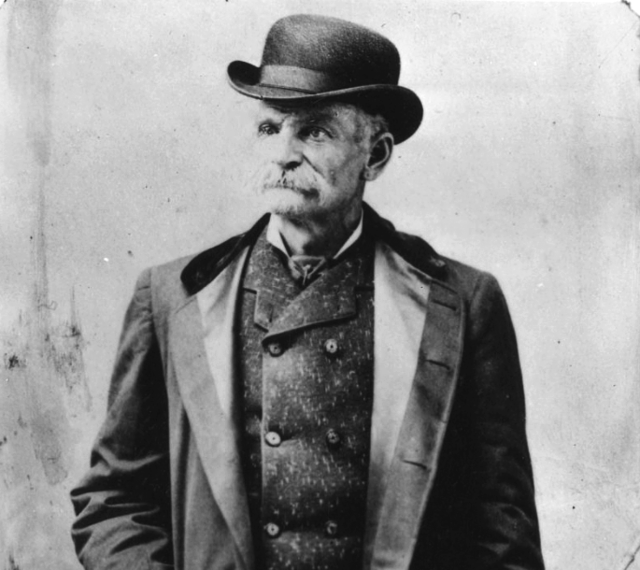 From 1875 to 1883, he held up at least 28 stagecoaches in northern California and Oregon. Operating alone and on foot, his modus operandi was to stand in the path of a Wells Fargo stagecoach, his face concealed by a flour sack. According to one account, he leveled a shotgun at the driver, demanded the strongbox, and yelled toward phantom cohorts in the hillside: "If he makes a move, give him a volley, boys." Boles met his downfall after he was wounded during a robbery gone awry and left his handkerchief behind. A laundry mark on the cloth was enough for detectives to track down the elusive gentleman bandit. A police report described Boles: "Exhibited genuine wit under most trying circumstances, and was extremely proper and polite in behavior. Eschews profanity." Boles served four years in San Quentin Prison. Upon his release, he told awaiting newspapermen that he was through with crime. Asked if he would write more poetry, Boles laughed and said, "Now didn't you hear me say that I am through with crime?" He later disappeared without a trace. A photo caption in the Sun's Friday newsletter misidentified a park where Allen Ginsberg, Gregory Corso, and Barney Rosset were sitting. It was Washington Square Park in New York, not Washington Square in San Francisco.